We provide education, advocacy and experiences to grow local food. 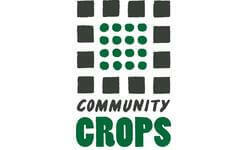 Community Crops was started with one community garden in 2003, and has grown over the years to become a successful organization. Crops now has twelve community garden sites, a training farm, a successful Community Supported Agriculture program, youth garden and cooking education, a regular farmers’ market stand, and more. Families are able to grow food for themselves, as well as learn about food growing and using fresh vegetables for cooking. The member will be responsible for nutrition and garden educational plans, administering of lessons, and representing Community Crops at all youth events and fairs to expand education on obesity reduction in the community.